Our best mattress for back sleepers reviews presents our top 8 mattresses suitable for those that sleep on their back. In terms of sleeping position, the back is second to side sleeping but more common than front or stomach sleeping. There are many different statistical sources for sleeping positions, but a rough approximation suggests that around 74% sleep on one side or the other, 16% on their stomach and 10% on their back. Some mattresses are multifunctional, suitable for both back and side sleepers, while others have been designed specifically for back sleepers. Many couples have to compromise since there are many more side sleepers than back sleepers. As far as how we sleep, an overwhelming number choose to sleep on their side (74%), while 16 percent sleep on their stomach and 10 percent on their back. A mattress for back sleepers should offer good support for the shoulders and pelvis while also prevent sagging of the lower back. It should support the natural S shape of the spine in order to prevent neck and lower back pain in the lumbar region. Here are our top 8 mattresses for back sleepers, after which we provide you with our Buyer’s Guide to mattresses for back sleepers to help you make your choice. Red: Sizes in Red are also available split. Quilted Gel Memory Foam: A quilted top to a mattress provides a comfortable sleeping surface that keeps you cool at night. The quilting provides extra loft and comfort and is an ideal top layer for a back sleeper. Gel Memory Foam: The gel memory foam contains tiny gel particles that absorb heat and releases it gradually during the night. The gel foam used by Nectar is a high quality premium foam, usually kept for medical uses. Once this patented Lush Foam™ has absorbed your body heat, it distributes it throughout the mattress and rapidly reverts to its cool, original state. A Layer of Adaptive Hi Core Memory Foam: This provides the ideal support layer for your pressure points: shoulders and pelvis, while also supporting your neck and your lower back. Your body weight is evenly distributed over the mattress and the layer also provides a good level of bounce in the mattress. It does not give that feeling of being held down by your mattress that many memory foams can do. A Bottom layer of High (2.2+) ILD Base Support Foam: The bottom support layer of foam is dense enough to provide excellent support and also breathable enough to keep you cool. It is manufactured with channels in the foam that have been molded specifically to draw in fresh cooling air. Many other such mattresses offer a base layer of only 1.5 ILD, not quite enough to provide the support you may need. The whole mattress is encased in a Tencel quilted cover. This bed bug resistant mattress cover provides excellent protection for your mattress. CertiPUR-US certificated. This means that no heavy metals, ozone depleters, phthalates or any other toxic substances have been used in its manufacture. The memory foam isolates the movement of partners; also your sleep is not disturbed. Nectar Forever Warranty that guarantees you Nectar mattress for as long as you own it. You will not find any warrant that lasts longer than this – we tried to find one and failed. The Sleep trial is for 180 nights if you purchase from Amazon – try it for 180 nights and return it if you are unhappy with it. Some people found this mattress too firm. It should be noted that back sleepers are best with a firmer mattress that does not allow the lower back to sink in. It can be used by side sleepers, but we are reviewing mattresses for back sleepers here. Editor’s Notes: The Nectar Mattress tops our best mattress for back sleepers reviews 2019 not only because it keeps you cool and comfortable, but also for its support properties and its warranty and sleep trial. It is a medium firm mattress, lying about 6 on a 1-10 scale. Some may find it too firm for them, although the mattress is generally a very good choice for a back sleeper. If you are looking for beds for backs, then this is our #1 choice. 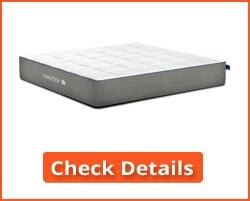 Check out our full Nectar Mattress review here. 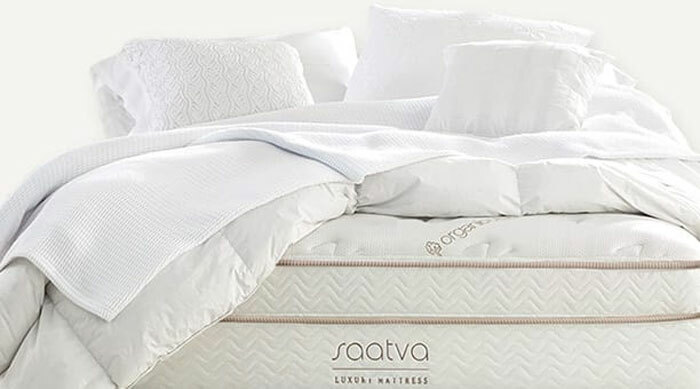 The Saatva mattress offers the benefits of memory foam along with individually wrapped 4-inch coils and a support layer of 7-inch steel coils. This is the best mattress we have found for back sleepers who prefer an innerspring mattress to a 100% foam option such as the Nectar mattress above. Memory foam for Lumbar Support: A one-inch thick memory foam layer for lumbar support. 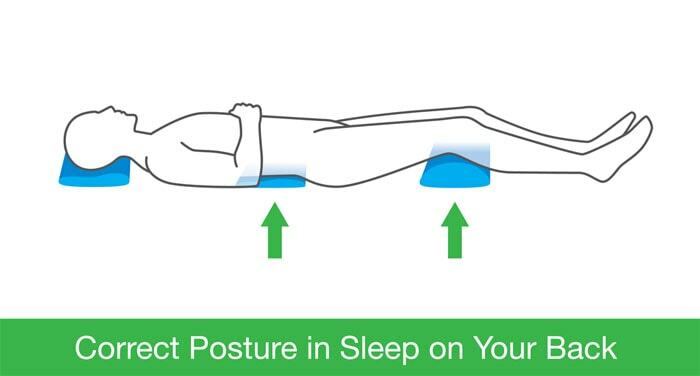 This does not extend the full length of the mattress, only the middle third to provide a good base for the area between the shoulders and hips. This helps to maintain the natural curve of your spine in this area. Foam Wrapped 4-Inch Coils: A layer of 4-inch individually foam wrapped steel coils that help prevent motion transfer between partners. Base Support Spring Layer: A layer of 7-inch tall steel hour-glass shaped coils. This provides the main support for the mattress. Dense Foam Base: A layer of dense foam, similar to that used in the side support, to provide a good base for the spring units above it. You can choose between two thicknesses: 11.5 inch and 14.5 inch. There is no difference between the two thicknesses in performance – they are simply offered to accommodate high and low headboards. The mattress has a half-inch thick Euro-style organic cotton pillow top. 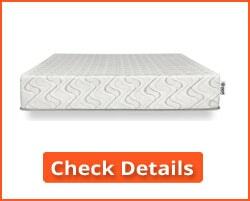 The mattress also has good edge support, with a 5-inch thick edge support foam between the top and bottom coils. The pillow top provides an excellent comfort layer for you to lie on. Your lower back is supported by the zoned one-inch layer of memory foam. The individually encased coils help to isolate the movement of partners. White glove delivery (not in a box) and old mattress taken away. 120 night sleep trial with 100% refund if you don’t like it. However, you only get a full refund less the $99 transportation cost. Mainly made in USA with two manufacturing units in Canada to cater for Canadian customers. You cannot test the Saatva mattress in a physical mall store. The warranty is good for the first two years. After that, the mattress will be repaired and recovered for a $99 transportation cost each way. Check the validity of your base/foundation since not all may be acceptable for the warranty. The sleep trial involves a $99 transportation cost. Editor’s Notes: This is an excellent mattress for back sleepers who prefer an innerspring mattress to a 100% foam option. Couples who like a good bounce to their mattress will probably prefer this to the Nectar mattress. The three different comfort levels is a good feature, allowing back sleepers of various body weights to choose the comfort option best for them. You can check out our full Saatva Mattress review here. The Casper mattress is available in three price options: The Wave is the most expensive and the Essential the lowest priced. We are reviewing the middle option which has been recently updated and which is good for back sleepers. The Casper mattress is a 100% foam mattress, combining the best of a latex-like proprietary foam, memory foam and polyfoam (polyurethane). Top Layer: The top layer is 1.5 inches of a proprietary foam, similar to latex. This layer provides comfort and it reduces the pressure on your shoulders and hips/pelvis while also helping support your lumbar/lower back area. If you like to bounce, then this layer can provide it. 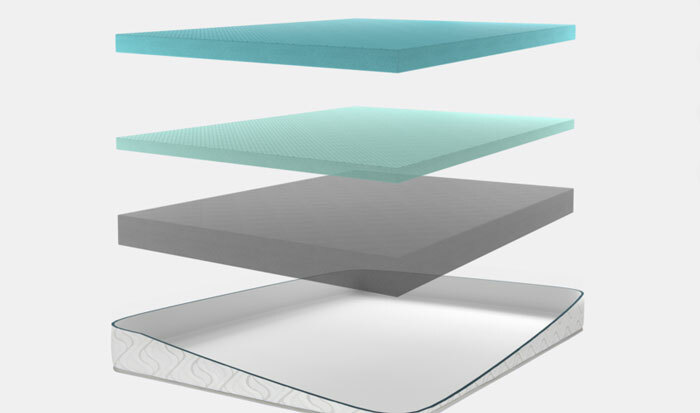 Memory Foam Layer: The next layer is a 1.5-inch layer of 3.5 lb memory foam. 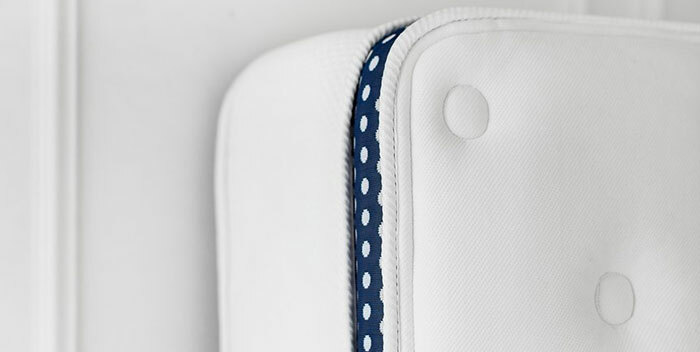 This absorbs pressure and contours to your body, making it very comfortable for back sleepers. Transition Layer: This is another 1.5-inch layer of polyurethane foam – but is of two different types down the length of the mattress. The top part is soft to allow your shoulders to sink into it, while farther down it is firmer to support your hips, lumbar region, and pelvis. The lower pressure points of your body need more support than those higher up (shoulders). 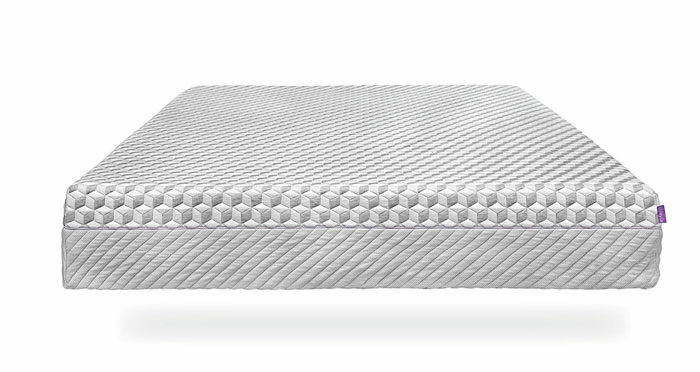 Fourth (Bottom) Foam Layer: This is a 5-inch layer of 1.8 lb high-density polyurethane foam which provides excellent support, no matter what position you sleep in. The Casper mattress is a medium-firm mattress with the zoned support that is ideal for back sleepers: Softer where your shoulders would normally lie, and firmer where your lower back and hips rest. The latter areas require a firmer base to provide the support needed to prevent your spine from losing is natural curvature: The lower curve of the S shape. The top curve sinks slightly into the top third of the Casper mattress while the lower curve is maintained by the firmer area of foam. The mattress is fitted with a zippered smooth polyester cover. This provides a sleek sleeping surface that you can easily remove for machine cleaning. Excellent design for back sleepers, though also good for side and stomach sleepers. Good motion separation between partners. Good level of bounce for adult activities. No apparent negatives 4regarding quality of the mattress itself. Some delivery issues reported (hence the position #3) but nothing that could not be resolved. Editor’s Notes: The Casper mattress fully deserves its #3 position in our Best Mattress for Back Sleepers Reviews 2019. It could arguably have taken the #1 or #2 slot since there is not a lot between the top three. Its zoned transition layer offers good targeted support for the lower back area – and important property for back sleepers. You can view our full Casper Mattress review here. The Winkbed mattress is an innerspring and foam mattress offering pressure relief for all sleeping positions. 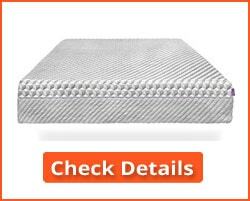 It is an excellent mattress for back sleepers and one of the best innerspring beds for backs we have found. It is fitted with a lumbar support pad to provide support for your lower back, and whole construction helps to keep your joints in their correct alignment. Comfort Levels: The Winkbed is available in four comfort levels: Softer, Luxury Firm, Firmer and Plus. The Firmer option is recommended for stomach and back sleepers. The other options are for those who sleep in other positions, with the Softer and Luxury Firm version being good for side sleepers. Support for larger/heavier people is best provided by the Plus option. The top layer of the Winkbed is a two-layered Euro pillow layer, offering initial cushioning for your pressure points: shoulders, back and hips. Beneath that is a layer of micro air-springsTM – this layer offers a maximum flow of air through the mattress, helping to keep you cool during the night. The third layer is a 7-zoned layer of individually wrapped coils. It is zoned to offer support where it is needed (e.g. shoulders and hips) and to give where less support is needed, e.g. the lower back (lumbar) area. The Edge Support system enables 15% more of the mattress to be used for sleeping on and is also good for those who like to sit on the edge of their bed. The company also offers the SleepCalm Motion Isolation technology that separates the movement of each partner from the other, allowing undisturbed sleep. Choice of comfort levels from soft to firm. Temperature control system keeps you cool all night. The optional coolControlTM system provides precise control over temperature. Can be used with adjustable frames. White glove delivery – old mattress removed for small charge. Lifetime limited guarantee against material and workmanship defects. 120 Night sleep trial (Must use for at least 30 days) – full refund and free collection if not wanted. Editor’s Notes: There are very few negatives to our top 4 mattresses for back sleepers. Sure, some people will find individual issues, but there are genuinely no general weaknesses that could count against them being included in our list. The Winkbed Mattress is one of those – everything seems positive, and it boils down to which has the most positive factors than which has most negatives. You could choose any of the above four options and be perfectly happy with it as the best mattress for back sleepers – or beds for backs! The Zenhaven mattress is made by the Saatva mattress company. The foam used in the Zenhaven mattress is an American Talalay latex foam. This type of foam provides a surface that conforms to your body shape while offering a level of spring that many people like. It is naturally hypoallergenic and resistant to dust mites, molds, and bacteria. It molds to the shape of your body, providing excellent support and a refreshing night’s sleep. Both sides of the Zenhaven mattress are covered with organic New Zealand wool which provides a 100% flame-resistant barrier. Beneath this is a 5-zone layer of Talalay latex that offers zonal support where needed. You have firmer support for the lower (lumbar) area of your back, and more give where needed such as at your shoulders and hips. The Zenhaven mattress is flappable to make this one of the best mattresses for back sleepers of different weights. Heavier people need more support, and the Luxury Plush side rates 4-5 on a 1-10 firmness scale. Most people like this side of the mattress. However, you can flip it over to sleep on a firmer side (7-8 on the firmness scale). 5-Zone construction, where you get soft comfort and a good level of support where needed. 100% latex manufactured using the Talalay process. Talalay latex is more resilient, and offers more bounce, than the standard Dunlop latex. Hypoallergenic, antibacterial and resistant to factors that can lead to allergic reactions. The delivery team will set up the mattress and bed for you, and take away your old mattress free of charge if you request this at checkout. 120-day sleep trial, after which you can return the mattress for a full refund less the $99 transportation cost. 20-Year limited warranty. The mattress will be replaced at no cost during the first 2 years. After 2 years the mattress will be repaired and recovered for a $99 transportation cost each way. Check the validity of your base/foundation since not all may be acceptable for the warranty. This is the same warranty as the Saatva mattress, manufactured by the same company. The transportation costs for warranty replacements after 2 years are a negative, just as for the Saatva mattress. No other negatives are evident or have been reported. Editor’s Notes: The Zenhaven mattress is made by the same company as the Saatva mattress. Both are good choices, and both appear in our top 5 Best Mattress for Back Sleeper Reviews 2019. 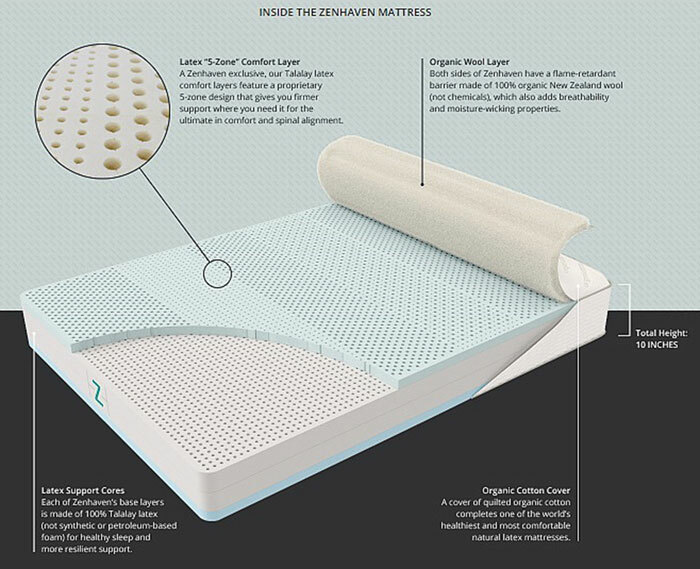 The Zenhaven mattress provides a Talalay latex option to the Saatva innerspring and memory foam mattress. Which is the better? You choose: each offers a springy feel to it, one through innersprings and the other through the Talalay latex used in its construction. The Layla mattress is a copper-infused memory foam mattress. The memory foam provides excellent cushioning and support for the shoulders and hips/buttocks, while also cushioning the lower back and preventing the spine losing its natural curvature in that area. If you look at your spine side-on, you will see that from the neck down, it has a natural curvature or S shape. It is important that this shape is maintained while you sleep. Otherwise, you may develop lower back pain originating from your spine, and the rubbing of the disks against each other and the bone. This mattress can prevent this from happening, making it one of the best mattresses for back sleepers available. A 2-inch layer of deeply convoluted 1.8 lb support foam. A 4.5-inch layer of 2 lb core support foam with an ILD of 36. A 1-inch layer of 3.5 lb copper-infused memory foam. The Layla mattress is flippable: you can sleep on the medium-soft side or the firmer side. Side sleepers and many back sleepers feel more comfortable with a soft to medium surface, which this mattress provides. However, if you prefer something firmer, then flip it over and give the other side a try. Memory foam cushions the shoulders and buttocks/hips while offering your lower back good support, preventing it from collapsing and causing pain. The infused copper wicks away heat and helps you sleep cool in addition to killing microbes, viruses and molds. One soft side and one firm side – so you can flip the mattress to change the comfort level. Antimicrobial: kills or inactivates bacteria, viruses, fungi, molds and other entities you would prefer not to share your bed with. 120-night sleep trial – no quibble refund. Some people believe it is too firm. Otherwise no major issues with the Layla mattress. Editor’s Notes: The Layla mattress is a good choice for back sleepers who prefer a 100% foam mattress to an innerspring mattress. The copper infusion provides the benefits that copper is said to provide for those with arthritis and other orthopedic conditions. It is also effective in conducting away the heat generated by your body while you sleep. Copper is also supportive, and this mattress offers two sides to choose from. Visit our full Layla Mattress review here. The Cover: The cover is a soft knitted organic cotton that provides a good flow of air and moisture absorption to help keep you cool and dry while sleeping. The cotton is grown without the use of dangerous herbicides or pesticides. The organic New Zealand wool provides excellent support and helps to maintain a regulated temperature throughout the night. 9-Inch Option: The 9″ Botanical Bliss mattress consists of one 2-inch layer and two 3-inch layers of Arpico Latex*. These layers are wrapped in a 1-inch thick organic cotton cover along with up to 10lb (just over 4.5 Kg) of organic wool batting. 10-Inch Option: As above, but three 3-inch layers of organic latex wrapped in the cover and batting. 12-Inch Option: As above, but with one 2-inch layer and three 3-inch layers of organic latex wrapped in the cover and batting. You can choose the height of your mattress either to accommodate low or high headboards or to provide more firmness options. 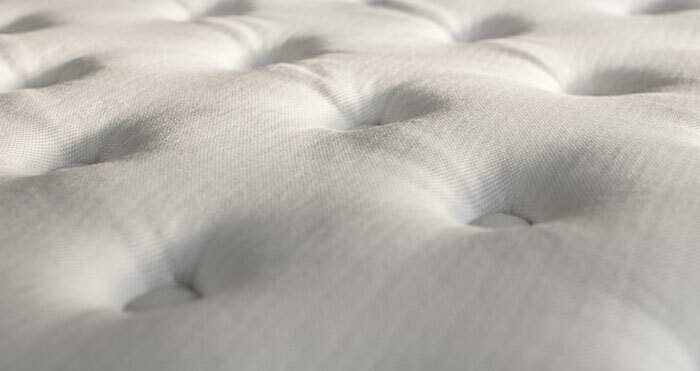 80% of PlushBeds customers choose the Medium comfort level and 20% choose the Firm. The layers in each mattress are interchangeable, meaning you can swap the top ‘soft’ layer with a higher density foam layer to make it slightly firmer – and vice versa. The densities of the foams used are 55, 75, 85 and 95 lb. These can be interchanged to create a mattress ideal for your needs. The Botanical Bliss mattress offers three thicknesses, each differing from the other by the number and thickness of the organic latex layers used. The comfort level can be adjusted to meet your needs – standards are soft and firmer. Organic latex contains no heavy metals, phthalates, ozone depleters or toxic substances. Organic latex does not off-gas toxic fumes. 25 year limited warranty against material and manufacturing defects. Body contouring of over 1.5 inches is included, but not indentations below that depth. 100 Night trial period: The mattress will be collected using a curb-side pick-up if you decide you don’t want it during the first 100 nights. You get a full refund on the price paid. No real complaints about this mattress. Excellent choice if you like latex, but not if you don’t. This is not a genuine negative, but is a reason for it appearing at #7 rather than higher up in our list. Editor’s Notes: If you like latex, then the Botanical Bliss mattress by PlushBeds is an excellent choice. It offers good resilience and bounce, a property that many young couples prefer to have than not have. It is comfortable to lie on, and you can change the comfort level by switching the layers around. The Love & Sleep mattress by Nest Bedding is our lower cost budget choice. If you are unable to meet the price of many of those above, then this is a great choice suitable for most people with a low budget for their new mattress. It uses a breathable, responsive foam known as EnergexTM. This is a hybrid foam that contains no latex. It is infused with multiple minerals that draws heat from your body and keep you cool at night. You tend to get a good, deep sleep with this foam and is ideal for back sleepers. The Love & Sleep mattress does not make you feel as you are ‘stuck’ in the mattress, as some memory foam mattresses can do. In fact, it has a reasonable bounce to it which younger couples may prefer. The mattress is Greenguard Gold certified for low VOC emissions. It is available in Medium and Firm comfort levels and uses NASA technology in the form of Thermal Phase Change Cooling Fabric to make sure you stay cool on hot nights. This technology absorbs heat and stores it for release when the temperature drops. 1-inch phase change cooling cover. 3-inch 2.8 lb Energex cooling layer. 1-inch SmartFlow air flow layer. 6-inch base foam with edge support. An excellent mattress at relatively low cost. Very good cooling properties for hot nights. Low in VOC emissions – Greenguard Gold certified. Some find it too soft for a heavier weight back sleeper. Otherwise, no serious issues that cannot be resolved by communicating with the vendor or manufacturer. 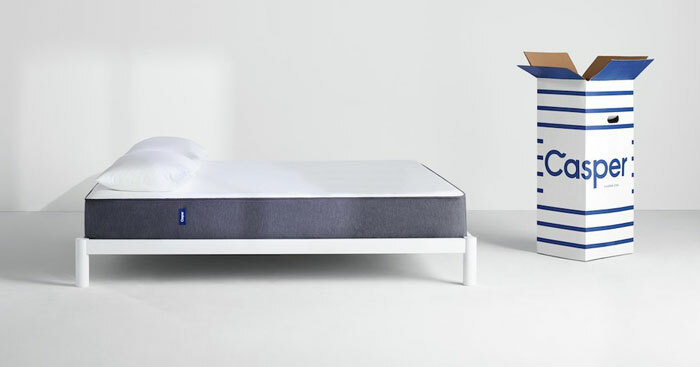 Editor’s Notes: The Nest Bedding Love & Sleep mattress, previously known as the Love Mattress, fully deserves its place in The Best Mattress for Back Sleepers Reviews 2019. 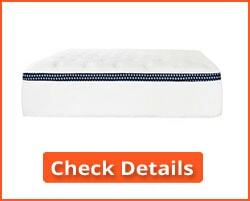 It is an excellently designed mattress for back sleepers, and affordable to most people. It is low in VOC emissions and comes with some very useful cooling and air flow features to prevent you from overheating. The above are our best beds for backs. Sleeping on your back is not the healthiest sleeping position. It tends to promote snoring, and unless you choose a good mattress designed for back sleepers, then you may find that this position can lead to back pain, particularly lower back pain in the lumbar region. However, get the correct mattress and sleeping on your back offers certain benefits. Back sleeping is fairly uncommon among U.S. adults, but the position carries certain health benefits. One of these benefits is a natural alignment of the neck, spine, and pelvis. By getting this alignment right, you can minimize aches, pains and pressure points throughout your body. The ideal mattress for back sleepers will provide even, consistent support for the whole spine. The required support can usually be provided by a softer mattress for lightweight people, and a firmer mattress for those of heavier weight. We have already provided you with our top eight mattresses for back sleepers. These have been established using personal experience, verified customer comments and reviews, and by intensive product analysis and research. However, let’s begin by discussing the pros and cons of sleeping on your back. It is not an ideal sleeping position if you tend to snore! It is also linked with sleep apnea. This is a condition whereby your breathing gets obstructed by the tongue and the soft tissue at the back of the throat (such as the uvula.) It is also a bad position for your knees, and it is recommended by the American Chiropractic Association that back sleepers sleep with a pillow under their knees to support them. That said, if you have alignment problems with your spine, sleeping on your back can help. If you choose the right mattress, you can support the natural S curvature of your spine. 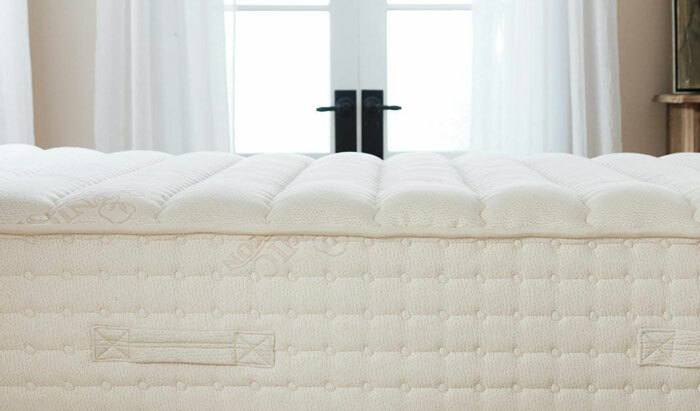 Some mattresses in our review provide a soft top and bottom third to absorb the pressure of your shoulders and pelvis/buttocks with a firmer middle third to support your lower back – the second curve in the S shape. You are also advised to sleep on your back if you suffer any pain along your jaw, mouth, and face such as with TMD (temporomandibular disorders). When choosing a mattress for back sleeping, don’t choose something too firm unless you are a heavy weight. In fact, some back sleepers prefer a mattress on the soft to medium firm side (4-6 on a scale of 1 -10) while others prefer just on the firm side of medium (6-7 on a scale of 1 – 10). Heavy people, from 210 lb would be better with a firmer mattress. The average weight for American men is 191 lb and 159 lb for women. Gender is irrelevant, so most women would need a soft to medium mattress and forget the firm options. A male back sleeper of 210 lb and over would likely find a firm mattress to be best for him. The same is true of a woman of the same weight. Check out our recommended mattresses for heavy people. The foam type is also important. Here is some information on the main types of foam that can be used in a mattress for back sleepers. Latex Foam: Latex foam has a more open cell structure than memory foam, and so allows more airflow through the mattress. Talalay latex has a more round and open cell structure than Dunlop latex, so will sleep cooler. However, Talalay latex is softer than Dunlop latex and is generally used as a softer comfort top layer, while Dunlop latex is used more as a foundation/support layer beneath the other comfort layers. Back sleepers may find a thin layer of Dunlop latex on top of a thicker Talalay latex layer. The thin denser Dunlop latex offers support while the Talalay provides comfort and cooking. Polyurethane Foam: Polyurethane is the base foam used for memory foam. It is found in mattresses, usually as a high density support layer. Often referred to simply as ‘poly foam’ polyurethane is rarely, if ever, used as the sole or even the major comfort layer in mattresses. Proprietary Foams: There are several proprietary foams available for mattress manufacture, one of these (Energex) being used in our #8 choice: the Nest Bedding Love & Sleep mattress. They have their own properties and are usually used to introduce some advanced form of cooling or orthopedic benefit. These are the main foam types used in mattresses for back sleepers. Or in any mattress to be honest! When looking for a mattress for back sleepers, check out the types of foam used in them and establish whether or not they would sleep cool or hot. You want cool! 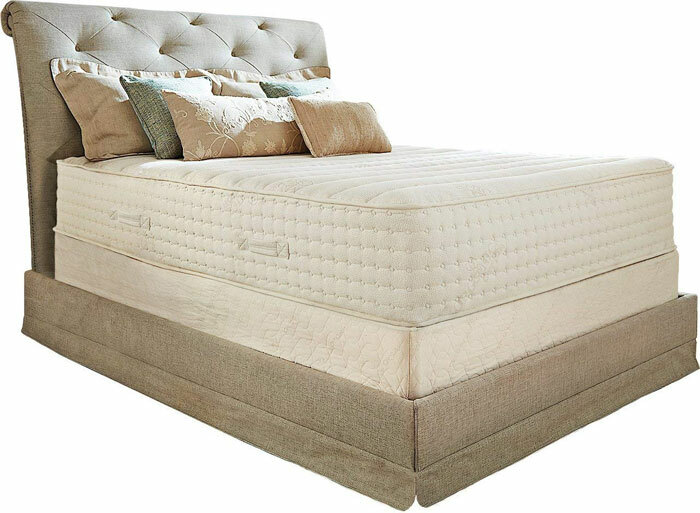 Also, check the firmness – too soft a mattress may not adequately support the lumbar (lower) region of your back. Too firm a mattress may not be comfortable on your shoulders and hips – the pressure points that bear most of your weight. Here is a selection of FAQs we have been asked regarding our best mattress for back sleepers reviews. 1. I have heard that sleeping on my back is the best way to cure back pain. Is this true? Yes, it is true. However, you must use a mattress that is designed for back sleepers and not just any mattress. To help cure or to prevent lower back pain, you need your spine to lie flat against the mattress. Choose one of the mattresses in our top 8 then add a roll pillow behind your knees – this will help push your back flat onto the mattress. 2. What is the best type of foam to use to help reduce or eliminate back pain? Memory foam is best because it supports your back without being too hard on it. Memory foam contours to your back for best support and alignment. If your spine gets misaligned then that will make matters worse. If you feel too hot with regular memory foam, try a gel memory foam. 3. I read that the spine is not straight – it has a curve. What type of mattress helps my back to keep its natural curve when I sleep on my back? The spine is naturally curved in an elongated S shape. This is to reduce the pressure on the individual vertebrae and discs. A mattress must have some give in it so that it can accommodate the shape of this curve. Too hard a mattress will put strain on your lower back which will tend to drop down to the level of your shoulders and pelvis. A soft to medium firm Talalay latex mattress will give the necessary support (Dunlop latex may be too hard), or a memory foam mattress would likely be even better for you. A pillowtop memory foam mattress may be ideal, although you may find it too warm. 4. I am using a memory foam mattress but I am finding I am sweating when I wake up in the night. Why is that? The reason you are sweating is because memory foam tends to fold itself around the shape of your body. That prevents the heat of your body from escaping. One answer is to use a gel infused memory foam, where the gel absorbs and dissipates the heat or a Talalay latex foam mattress which allows more air flow through the foam. 5. I have heard some beds being referred to as 'beds for backs'. What does this mean, and are they suitable for general use or only for back sleepers? 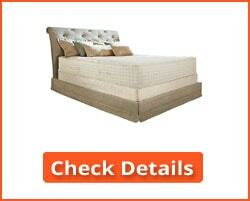 Beds for backs refers to a bed or mattress that is suitable for a back sleeper. That does not mean that the same mattress cannot be used for other sleeping positions. Many side sleepers use mattresses designed for back sleepers, and stomach sleepers are the same. Very few mattresses are useful for just one type of sleeping position. Our top eight mattresses for back sleepers have been carefully chosen using personal experience and a range of personal and highly regarded sources. They are suitable for back sleepers and also for those who are developing back pain due to the mattress they are currently sleeping on. Not every mattress will suit everybody, and it is important that you fully understand the nature of each mattress listed, and how they may help you. If you have a serious muscular or orthopedic condition or are feeling significant pain when in bed, then you are advised to refer to a physician, chiropractor or orthopedic specialist for advice. We have no medical experience and our advice is for information only.